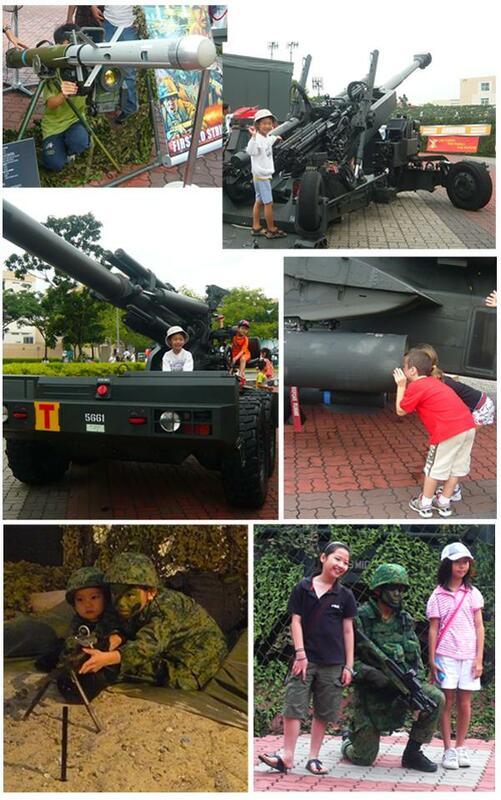 The army open house is one of the rare events in Singapore where you can get up close and personal with military equipment and vehicles. One of the most popular activities to do during the Singapore Army Open House is the Combat Ride Safari where you get to ride aboard a tank or a light strike vehicle and experience first-hand the bumpy ride on rough terrain and be exposed to elements of nature e.g. dust, tree branches. Well, I was a Bionix Infantry Fighting Vehicle driver so this is nothing new to me. Put yourself into the shoes of a Field Commander – receive battle briefs, ride into the thick of battle and issue orders to shoot and destroy. As a “Field Commander”, you are issued with a pair of ear plugs and a map of what will be happening for the next 45 minutes. After the Command Brief at Station 1, we witnessed the clearing of mines by the TrailBlazer at Station 2 – a very impressive piece of equipment that will save lots of time for soldiers clearing mines. Back in my days, the technique was for soldiers to crawl slowly on a minefield and poke the ground with a bayonet to look for mines – that took ages! 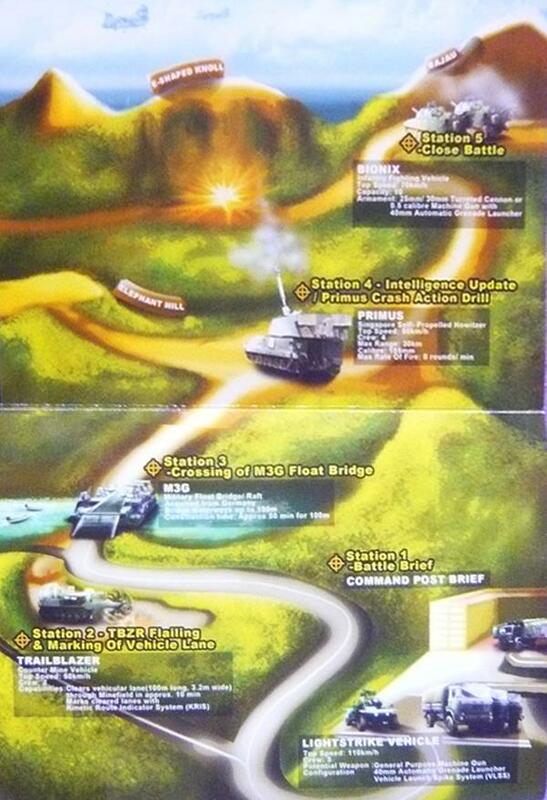 After crossing the M3G Float Bridge, we went right into combat – actually just looking at the Primus artillery tank fire 3 rounds onto some enemies down the road. (I believed they used blanks since artillery rounds could potentially reach other parts of the island). Once the “enemies” had been suppressed, our truck of “Field Commanders” is driven to witness the Bionix pound the enemies (actually stationery cardboard targets) to death with many shots at close quarters. And that about concludes the Live Firing Safari Ride. Just a word of warning – if you are keen in participating in this battle rides, be prepared for long waits and arrive early. For example for the Live Firing Safari – the official time it starts is 9.30 am, actually that was the time they started allowing people to queue. 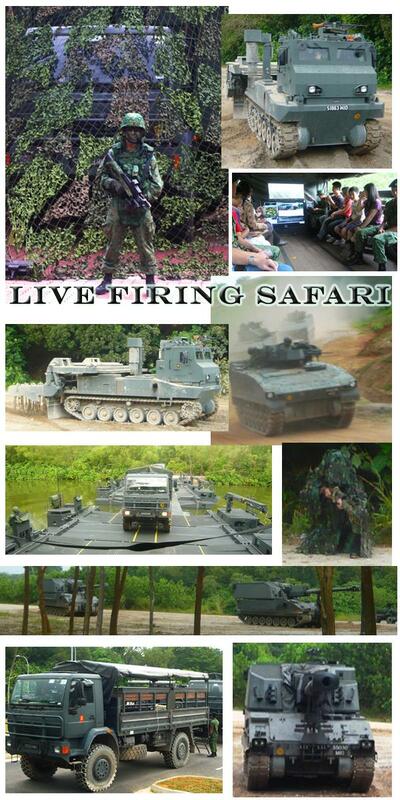 By 10.30 am, the entire 930 am to 12 noon slots for the Live Firing Safari are taken up.